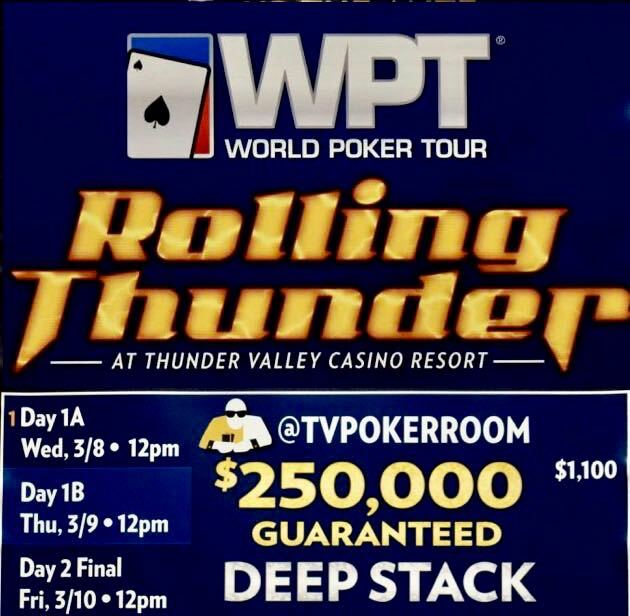 10 players won a seat in to tomorrow's Day 1B of the $250,000 guaranteed DeepStack in the 5pm satellite, and another 11 are taking home seats when tonight's 8pm satty wraps up. That makes nearly 70 $1100 seats won from $125 and $240 satellites. 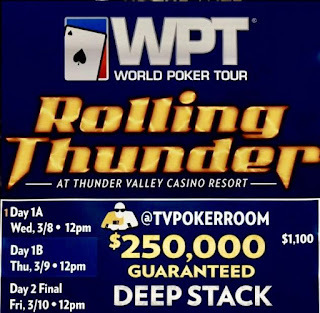 Add that result to a Day1B field expected to be more than 200 entries, and the WPT Rolling Thunder Series is off to an incredible start. There's a 11am $125 satellite tomorrow for players to late-reg Day 1B or use it for Friday's $1100 OneDay$100k Guarantee.